Roger won and so could you – join in from just £5 a month! 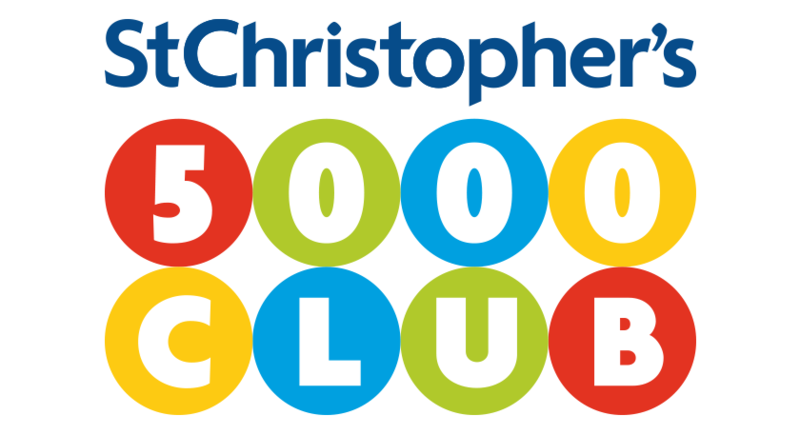 Membership of our 5,000 Club starts from just £5 a month, when you will be given a unique 5,000 Club number (you can pay for a maximum of 10 numbers, at £5 each). Each month, your number(s) will be entered in a draw to have the exciting chance of winning one of 17 cash prizes. And although you’re playing to win, you will also be pleased that all profit goes directly to funding St Christopher’s work. There is also a special bumper draw to look forward to in December. Joining is simple – just click on the button below. Alternatively download the application form then complete and return it to 5,000 Club, St Christopher’s Hospice, 51-59 Lawrie Park Road, Sydenham, London SE26 6DZ. You must be 16 years or over to join. You may choose to pay by monthly or annual Direct Debit or annually by cheque. How much are the prizes every month? So join today to start helping straight away! The cost is £5 per number per draw, subject to a maximum of 10 numbers per draw. Once we receive your application we will confirm receipt, allocate your unique 5,000 Club number(s) and let you know the date of the first draw you will be entered into. The draw will normally take place on the last Tuesday of each month and winning numbers will be drawn on the basis of lots. The winners will be notified as soon as possible by post. The results of the draw will be published on our website. View our terms and conditions. 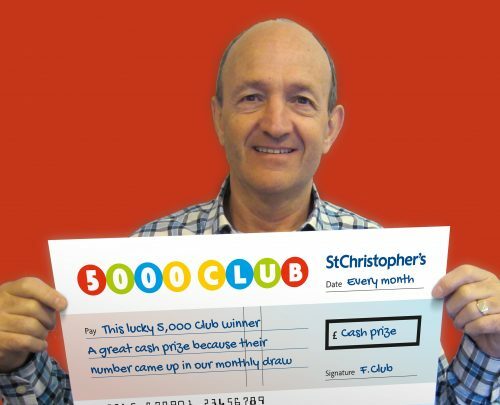 All profits from the 5,000 Club go directly towards funding St Christopher’s services which help and support patients and their families and carers at no cost. All you need to do is decide whether you would like a voucher for six months for £30 or 12 months for £60 per number, and how many numbers you would like for your recipient. Or download the gift voucher application form then complete and return it to 5,000 Club, St Christopher’s Hospice, 51-59 Lawrie Park Road, Sydenham, London SE26 6DZ . We will send the gift voucher to you or your recipient – whichever you decide. If you would like to buy a gift voucher for more than one person, please complete a form for each. The 500 Club, first launched in 2012 by Harris HospisCare, has now been combined with St Christopher’s and relaunched as the 5,000 Club. All existing numbers have been automatically transferred. Recent winners and their prizes are listed below.